Most Americans are deficient in Vitamin D3 which plays a part in many processes throughout your body including Bone Density, Immune System, Muscular Strength, Pain and Mood Disorders. 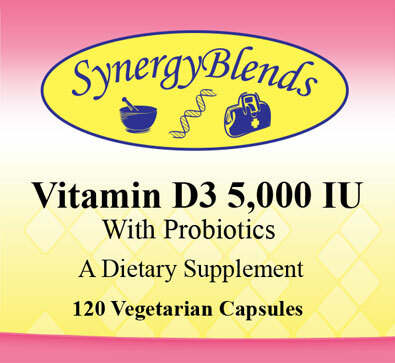 This combination with Probiotics enhances absorption. Available in 5,000IU and 50,000IU strengths.